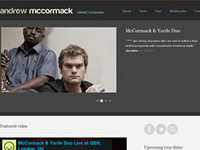 Andrew is a world-class jazz musician and composer. The site is on a WordPress platform – so Andrew can edit the page content himself – and was finished in June 2012. 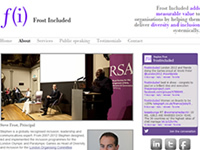 FrostIncluded is one of the most respected Diversity and Equality consultancies in the UK. This site is clean, professional and lean – a representation of their work. Ian Chalk is one of Yorkshire’s finest trumpeters and this is the home of his jazz quartet. I’m actually the piano player in the band and created this site primarily to show off the album we created in 2012. I also designed the cover the album too! 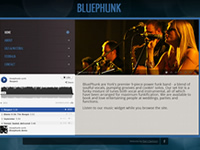 Bluephunk is the leading funk/soul/fusion band in the Yorkshire area. They have a reputation for making an ordinary night into a great one. 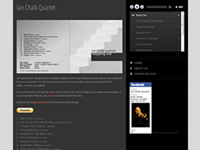 The site was designed as a one-page-slider specifically to enable users to listen to the audio widget while they browse the rest of the site. 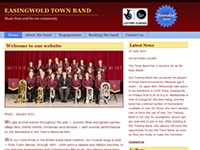 Easingwold Town Band is a traditional band that love to play music for local residents. They needed something fairly simple to appeal to a younger audience and encourage engagement. 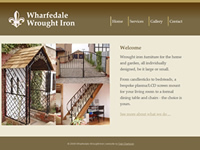 A super-simple quick site that has a CSS-enabled picture gallery to show off this wonderful iron work.